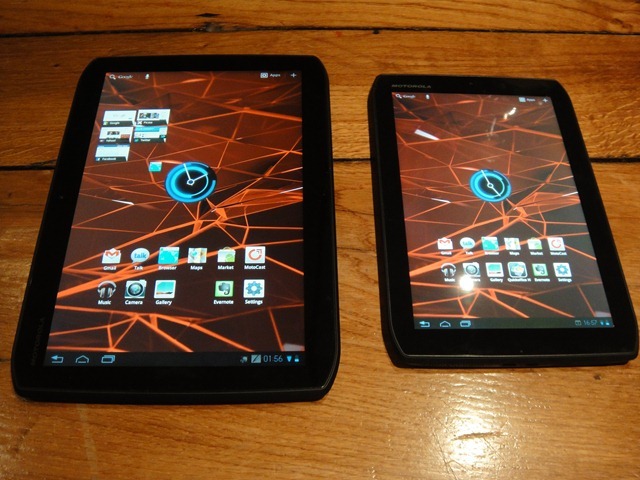 Clove Technology has made public this news in a blog post on their http://blog.clove.co.uk site, which has the Motorola XOOM 2 WIFI model priced up at £325 +VAT and the Motorola XOOM 2 Media Edition WIFI costing £299 +VAT. These new tablets were only announced last week, with a 10.1-inch display and a 8.2-inch screen on the media edition. Both devices arrive with a dual-core 1.2GHz processor, with a 5 megapixel camera and a front facing 1.3MP variant. Clove has also opened up the holding pages for the Xoom 2 3G and WIFI versions here and here, although Motorola couldn’t divulge any details to OneMobileRing as to when they might officially be announced. OMR caught up with Motorola last week at the press launch for the two Xoom 2 editions, where we published a hands on set of images for the large and small screen editions here and here and a hands-on walkthrough on video here.